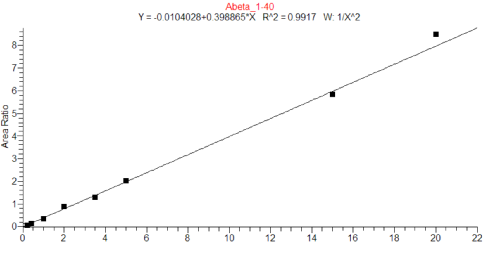 compared to the concentration of Aβ 1–42 alone was found to be even more significant. 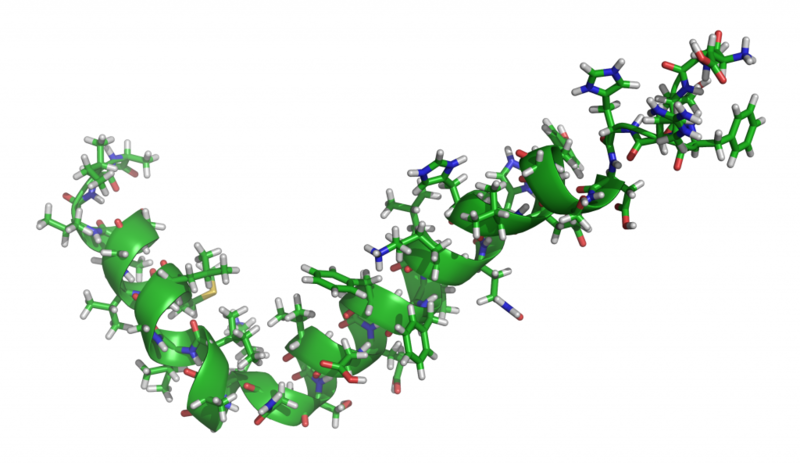 Currently these peptides are analyzed routinely in CSF by immunoassays, but in recent years, liquid chromatography tandem mass spectrometry (LC-MS/MS) has been investigated for the quantification of Aβ1-38, Aβ1-40, and Aβ1–42. Siethoff, Filip Sucharski, and Matthias Orth ( Swiss BioQuant, Reinach, Switzerland). The CSF sample was prepared by immuno-precipitation enrichment, after which it contained 50% organic (ACN). 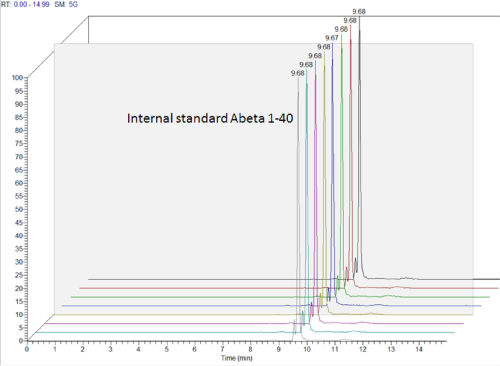 50 µL of the prepared sample were injected with the autosampler (figure 4). After switching the injector valve, the sample was transferred to the trapping column during 3 minutes using 50 µL/min flow through the injection loop, and an additional 200 µL/min H2O added after the loop to dilute the sample for trapping (figure 5). 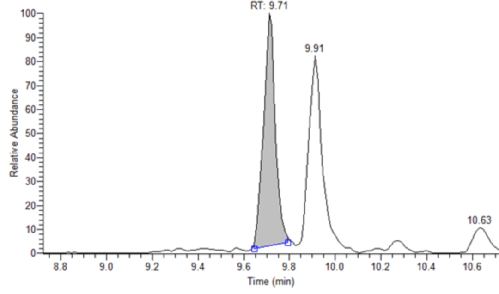 The trapping column was then switched into the analytical LC flow path (figure 6) and extracted at an initial 4 µL/min flow rate, which was reduced to 3 µL/min after 8 minutes in order to broaden the peaks around the retention time of interest (figure 2). The linearity at the dynamic range of 100 is R² = 0.9917 (figure 7). The sensitivity at the chosen LLOQ of 200 pg/mL suggests a feasible detection limit below 20 pg/mL (figure 8). Reproducibility of both the area and the retention times (figure 12) is excellent. Figure 10: LLOQ – Spectrum at 9.71 min. 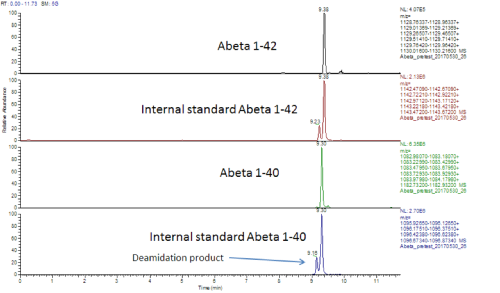 The use of the combination of microflow HPLC and high resolution mass spectrometry for quantitation was demonstrated by the analysis of beta amyloid peptides 1-40 and 1-42 in human cerebrospinal fluid. 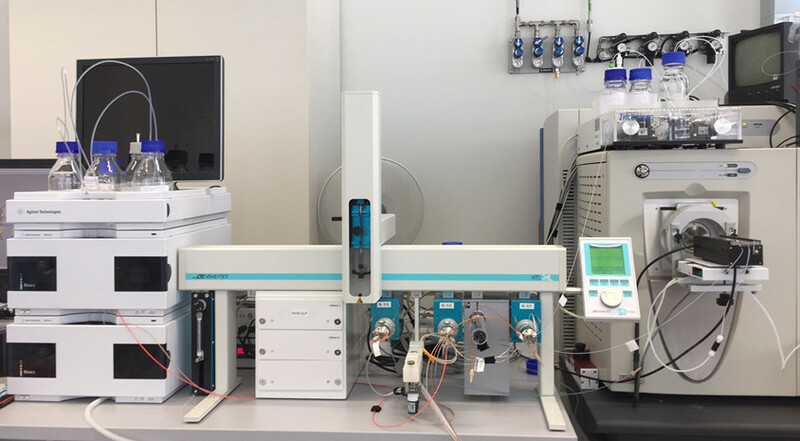 Sensitivity in the low pg/mL range could be achieved by reducing the flow rate and the inner diameter of the HPLC column, but still without reducing the injection volume to get the real advantage of microflow HPLC-MS with respect to sensitivity gain. Quantitation by high resolution mass spectrometry was precise and robust, which allows us to use this method for a biomarker clinical study. Blennow K, Hampel H, Weiner M, Zetterberg H. Cerebrospinal fluid and plasma biomarkers in Alzheimer disease. Nat Rev Neurol. 2010 Mar;6(3):131-44. Lewczuk P, Lelental N, Spitzer P, Maler JM, Kornhuber J. Amyloid-β 42/40 cerebrospinal fluid concentration ratio in the diagnostics of Alzheimer’s disease: validation of two novel assays. J Alzheimers Dis. 2015;43(1):183-91.